Brother Charles Clifton Griggs, the son of Lewis T. and Caroline E. Gale Griggs, was born at Beatrice, Nebraska, May 3rd, 1875. He received a high school education in his home town, and in 1893 entered the University of Nebraska, at Lincoln, from which he graduated with honor in 1897, being elected president of the society of Electrical Engineers during his senior year. Upon graduation he was elected by the Regents of the University to the Honorary Scientific Fraternity "Sigma Xi," election being made from graduation class for scholarship. In the fall and winter of 1897, he worked as assayer for a gold mining company in the Black Hills of South Dakota, and in 1898 accepted a position as chemist and assayer for the Dexter Gold Mining company at Tuscarora, Nevada. During 1900 and the early part of 1901, he was employed as electrician by the Union Pacific railway company in Wyoming. In the fall of 1901, he was employed as superintendent for the "Wasp No. 2" Gold Mining Co. at Deadwood, South Dakota. He moved to Eureka, Utah, his present home, March 1904, and was made superintendent of the Uncle Sam Consolidated Mining company, and later also superintendent of the May Day Mining & Milling Company; both positions he still holds. In addition to this, he is associated with the Griggs, Castleton and Carter Cyanide Milling company at Eureka, also the Dern and Griggs Leasing company, operating at Milford, Utah, as well as other interests. He is a member of the American Institute of Mining Engineers. On June 28th, 1899, Brother Griggs was married to Miss Virginia Watkins, an accomplished musician, at Tuscarora, Nevada, and one daughter, Adele Virginia, graces their happy and pleasant home. Brother Griggs is a student, and the success he has attained along that line is due entirely to his own efforts. During his attendance at at the University, his vacations were spent on railroad survey on the Burlington in Wyoming and Montana. When a mere boy, he was self-supporting, attending school during the day, and working as messenger for the Western Union Telegraph company from four o'clock until midnight. Although the hours were long and tedious, he had the determination and pluck which is characteristic of the western people, and finished his education with great credit to himself. He continues to take an active interest in all matters pertaining to educational work, and is now serving his seventh consecutive year as a member of the school board of his home town. Brother Griggs is a man whom it is a pleasure to meet and know. He is thorough and conscientious in everything he undertakes, and there is little doubt but that he will serve as Grand Master during the coming year with credit to himself and to the Craft. Brother Griggs was made a Master Mason in Tuscarora Lodge No. 21, of Tuscarora, Nevada, in 1900; affiliated with Tintic Lodge No. 9, at Eureka, Utah, March 23, 1909; received the Royal Arch Chapter degrees in Lebanon Chapter No. 3, at Laramie, Wyoming; later affiliating with Provo Chapter No. 4, at Provo, Utah. Created a Knight Templar in Dakota Commandery No. 1, at Deadwood in 1902. Affiliated with Utah Commandery No. 1 at Salt Lake City, July 6, 1911. Received the Scottish Rite Degrees from the 4th to the 32nd, November 22, 23 and 24, 1915, in the four co-ordinate bodies of the Rite in the Valley of Salt Lake, of which he is a member. 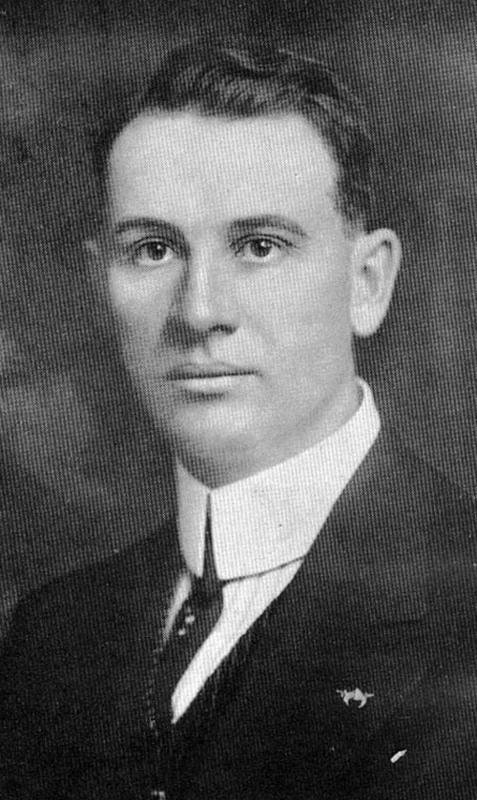 In the Grand Lodge of Free and Accepted Masons of Utah, he was Grand Marshall in 1911 and 1912; Junior Grand Warden in 1913; Senior Grand Warden in 1914; Deputy Grand Master in 1915, and at the Forty-fifth Annual Communication held January 18th and 19th, 1916, was elected and installed Most Worshipful Grand Master of Masons in Utah. 1. "Charles Clifton Griggs. Grand Master", Proceedings of the Grand Lodge of Free and Accepted Masons of Utah, 1916, page 1-2. Are you looking for GRIGGS ancestors? If so, we suggest posting a query to our Community Message Board to get assistance from other researchers.